From the New York Times bestselling author of The Empathy Exams, a transformative work showing that sometimes the recovery is more gripping than the addiction With its deeply personal and seamless blend of memoir, cultural history, literary criticism, and journalistic reportage, The Recovering turns our understanding of the traditional addiction narrative on its head, demonstrating that the story of recovery can be every bit as electrifying as the train wreck itself. Leslie Jamison deftly excavates the stories we tell about addiction-both her own and others'-and examines what we want these stories to do, and what happens when they fail us.All the while, she offers a fascinating look at the larger history of the recovery movement, and at the literary and artistic geniuses whose lives and works were shaped by alcoholism and substance dependence, including John Berryman, Jean Rhys, Raymond Carver, Billie Holiday, David Foster Wallace, and Denis Johnson, as well as brilliant figures lost to obscurity but newly illuminated here.For the power of her striking language and the sharpness of her piercing observations, Jamison has been compared to such iconic writers as Joan Didion and Susan Sontag. Yet her utterly singular voice also offers something new. 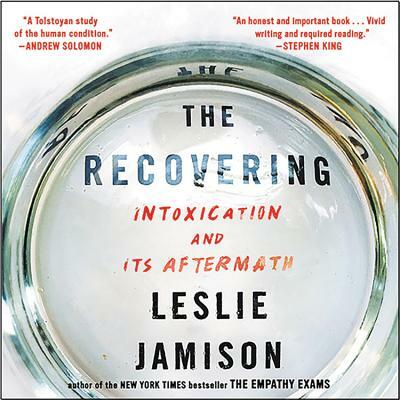 With enormous empathy and wisdom, Jamison has given us nothing less than the story of addiction and recovery in America writ large, a definitive and revelatory account that will resonate for years to come.